Windsurfing can be a challenging and rewarding sport. At the Mission Bay Aquatic Center, we offer classes for those looking to learn to windsurf or get more instruction on the water. Our windsurfing classes are designed to offer the best coaching beginning with on-land training and quickly moving to the water. Instruction will progress quickly and you will be given plenty of time to practice techniques on your board until perfection. 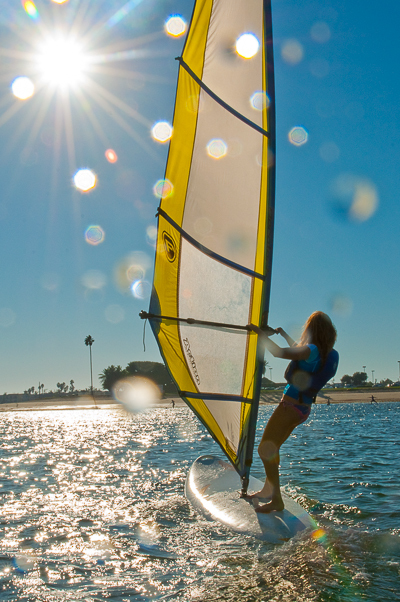 This class is the perfect introduction to the fun and versatile sport of windsurfing. Through on-land instruction and on-the-water coaching, you will learn how to sail, steer, and control your board and sail. Plenty of practice time will give you the skills to confidently windsurf on your own. 4/27/2019-5/5/2019 4 Sa Su 9:00AM-12:00PM Enroll! 6/15/2019-6/23/2019 4 Sa Su 9:00AM-12:00PM Enroll! 6/17/2019-6/26/2019 4 M W 3:30PM-6:30PM Enroll! Take the next step and learn techniques to sail more efficiently and make your board go faster. Using larger, fully battened Dacron sails, you will focus on proper rigging technique, beach starts, and improving body position. Continue to progress your skills and enjoy your time on the water as you practice this fun and challenging sport. Prerequisite: Windsurfing Level 1 or equivalent. 4/27/2019-4/28/2019 2 Sa Su 1:00PM-4:00PM Enroll! 6/15/2019-6/16/2019 2 Sa Su 1:00PM-4:00PM Enroll! 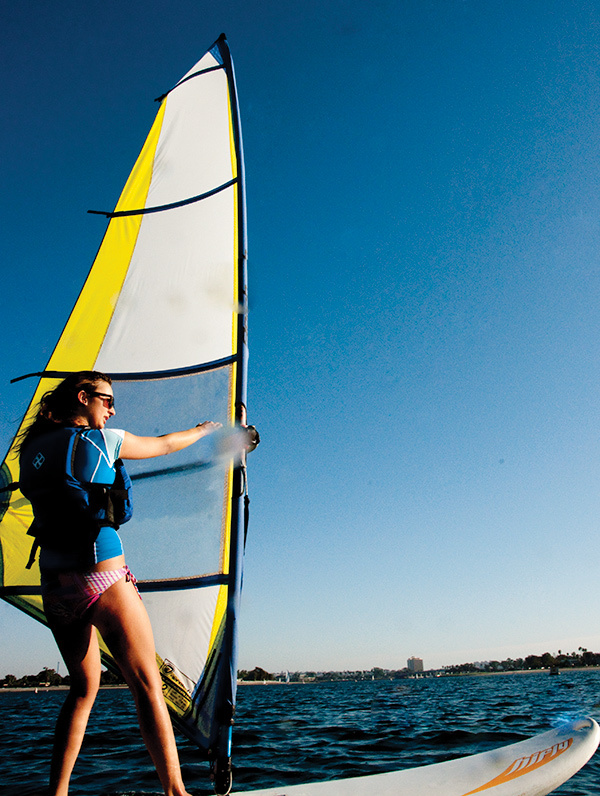 Package price includes Windsurfing Level 1 and 2.